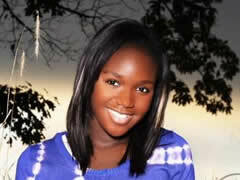 Savannah Britt became the youngest magazine publisher in the world when, at the tender age of 12, she started publishing a hard copy magazine entitled Girlpez Fashion Magazine, to accompany her website for teen girls, Girlpez.com. By then already, Savannah was not a newcomer when it came to the publishing world. She had published her first poem when she was 8 years-old, which made her fall in love with the writing process’ creativity and determined her to further pursue writing. When she was 9, she was hired as a children’s book reviewer for the Kitchen Table News, with a readership of 70,000. The newspaper folded when Savannah was 11, leaving her hungry for more. She felt ready to “expand my brand and begin my own publication.” So, she created Girlpez, a website and a magazine aiming to empower girls “through fashion, beauty and self-esteem” and to build the future female leaders of the world by igniting the depths of inspiration that they posses. The magazine includes interviews with stars, such as Rob Dyrdek, Shwayze, Dawn from Dirty Money, Kevin Rudolf, and Lil Twist, as well as coverage of events, such as concerts and fashion shows, designer and spotlights, beauty and style tips. The young entrepreneur’s website has been endorsed by key people in the industry, such as Amy Astley, the editor in chief of Teen Vogue, who personally invited Savannah to come visit the offices in New York. Savannah herself has been interviewed and featured on hundreds of entrepreneurial websites, publications and TV shows, including Black Enterprise Magazine, the Courier Post and the Anderson Cooper Show. Savannah confessed in an interview that it was difficult to maintain a balance between her high-school work and her studies. She was in all honors classes and had basketball practice every day. Nevertheless, with the help of a calendar, she managed both her school work and her website. Apart from continuing the magazine, the young girl is also launching a luxury swimwear line and a PR company.